Located in the heart of Chinatown, Poke Papa just opened two weeks ago and specializes in Hawaiian-inspired poke bowls with lots of fresh ingredients and healthy options to choose from. Poke bowls are marinated raw fish salads that are most commonly found in Hawaiian cuisine. 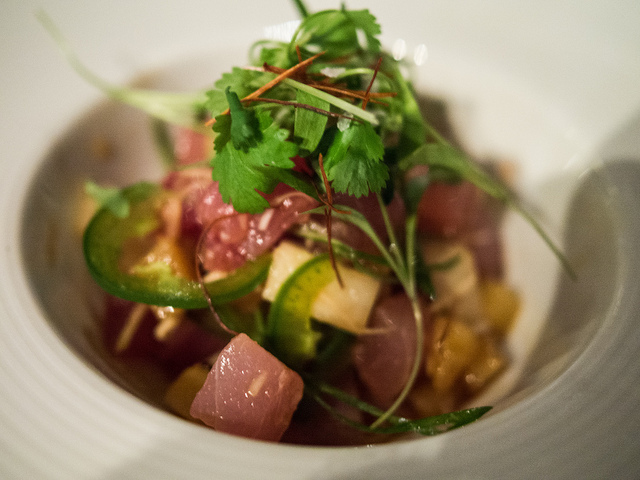 The menu here includes a variety of signature bowls, such as the Volcano, which consists of spicy tuna topped with jalapenos, scallions, cilantro, and lava sauce. Or, you can get your creative juices flowing with their build-your-own bowl options – choose your base, protein, sauce, veggies, and toppings. Regulars love the huge portions and high-quality ingredients that are completely customizable. Poke Papa is conveniently located one block from the Chinatown-Gallery Place Metro stop and opens daily at 11 a.m.